If you want to pamper the family a delicious and healthy meal, you better cook it yourself. Having a relatively inexpensive caviar carp, you can cook amazingly delicious meals, each of which does not require much time and special knowledge of cooking. The first stage of cooking cleaning and the Ambassador of caviar. Caviar carp need to be cleaned from the films. This must be done carefully, so as not to crush the eggs. Then season with salt to taste and refrigerate 2.5-3 hours. Important that eggs are not very cold, so put it on the bottom shelf of the refrigerator. After 2-3 hours, remove the eggs from the fridge and put it in a ceramic dish. Then pour 2 tablespoons of olive oil and stir with a wooden spoon. After you mix the ingredients into a homogeneous mass, add 1 teaspoon of sesame oil and whisk with a whisk. Beat the mass until then, until the two oils will not mix and won't mix with caviar. If you don't want whipped caviar, you can try another delicious recipe. Ingredients take are the same as in the first embodiment. Also clean the eggs, add salt and leave in the refrigerator for 4 hours. Then add 3 teaspoons of sesame and 2 tsp of olive oil. Stir and leave in fridge for 30 min. It remains only to shift the eggs to a beautiful dish and pour freshly squeezed lemon juice. You can use lime juice. Once everything is thoroughly mixed, refrigerate the caviar a lot on the ice, garnish with slices of lemon, chopped Basil leaves and pepper. In the end, you should have a pleasant taste caviar carp. If you are not afraid to experiment, try to water your caviar with special sauce. To make it very easy, you just need to whisk 1 protein with 0.5 tsp salt, add 1 tbsp mayonnaise or sour cream. This sauce is perfectly emphasizes the taste quality of cooked caviar. You can also use another recipe caviar carp. First, it needs to be cleaned and separating the films, put in a metal bowl. To spawn you need to add 100-150 g of butter and 100 g of sunflower refined oil, salt to taste. These proportions are given approximately a liter jar of caviar. Further on a water bath on low heat, it is necessary to intensively stir the eggs with a fork, approximately 10-15 minutes of the Film are contracted and their very easy to pick up on the plug and separated from the calves. 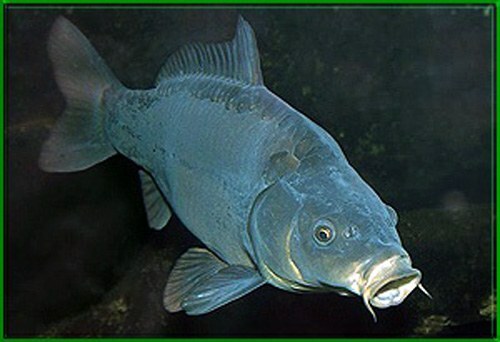 After the film was separated, caviar, carp will begin to take on an orange tint. Once all the eggs have changed color, remove the bowl from the water bath and continuing to stir, put in a bowl of larger diameter filled with cold water. If you overdo the eggs on fire, it turns white and is cooked — it will become hard and not tasty. After the eggs cool, put the bowl in the fridge. After the caviar mass is completely cool, it can be used instead of or together with butter for sandwiches. To give the eggs a spicy taste you can use other herbs. If you don't like Basil, substitute it with thyme, mint or dill, but in any case not parsley.